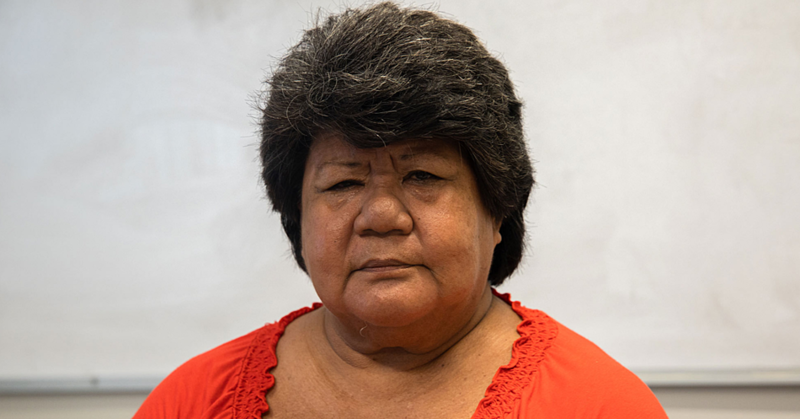 SAY TALOFA: More than twenty international students from the National University of Samoa (N.U.S.) joined the parade for the 54th year of Samoa’s Independence Day celebration last week. 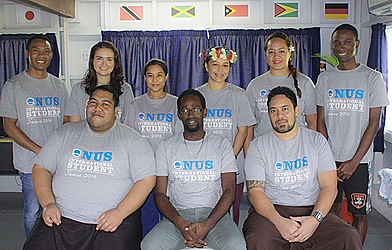 Students from East Timor, Jamaica, Guyana, Trinidad and Tobago, who are currently taking their Post Graduate Degree in Development Studies and a student from Germany taking a Bachelors Degree at N.U.S. marched not only for Samoa’s Independence Day but also to give tribute to their own countries’ independence day, which they will miss due to their being here in Samoa. Among them were Joao Maia, Marie Roeder, Pressycilla Chand, Teaukura Chan Ting, Iliganoa Matuu (International Coodinator), Occero Fuller. Sitting: (L to R) Jione Palefau, Kerwin Jacobs and Sione Tuionetoa.